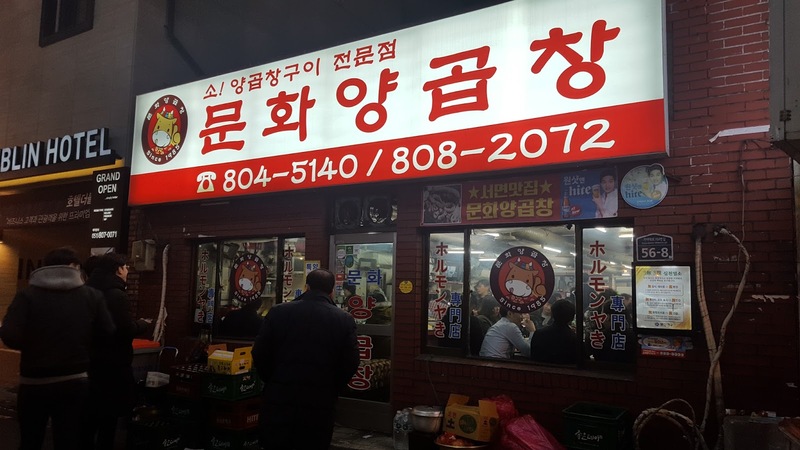 We started to go to Samjin fishcake (삼진어묵) that is so popular in Busan. Fishcake was so delicious cake and taste like salty and texture of food was so weird. Anyway, there was so many people there. There are so many kinds of fishcake. you chose fishcake with cheese taste. So delicious! I got bunch of package for my other friends and family. Can you see the worker who were making fishcake by hands? It was so interesting to me. Their hands to make fishcake is so fast and looks so delicious. 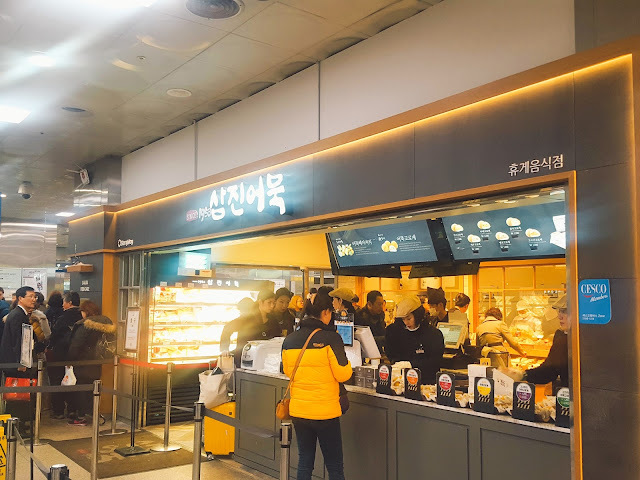 It make me to get more fishcake from 아줌마. There are so many tourists like me, so we need to wait in line for few minutes. I can feel like Busan is so busy and popular city in Korea, so many people and even foreigners everywhere. See so many fishcakes here! I really want to try everything. It looks delicious and smell was so good to me. I will try each of fishcakes while I am staying in Korea. 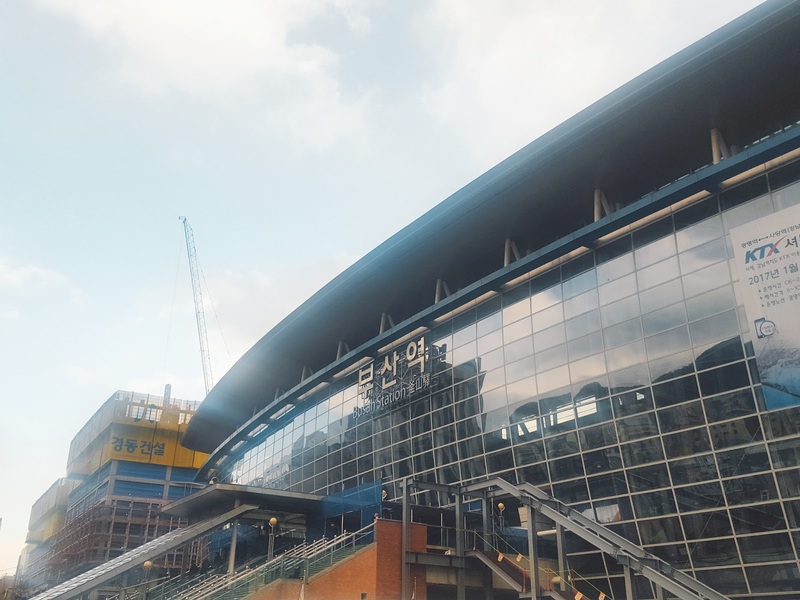 There are some branches in Seoul and other cities too. 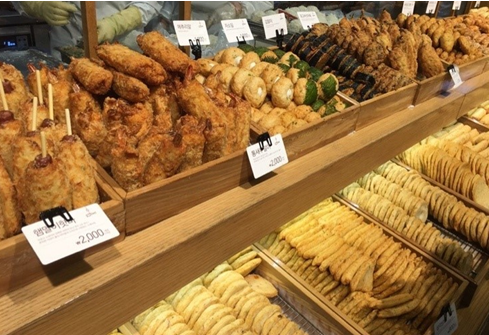 So, try each tastes of fishcake from Samjin fishcake. But, Busan branch is the first branch and the original branch, so I will get more fishcakes here for my family and friends. 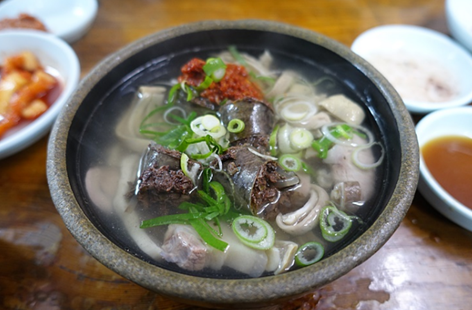 For lunch, we went to Milyang sundae(밀양순대) which is Korean sausage (Sundae). 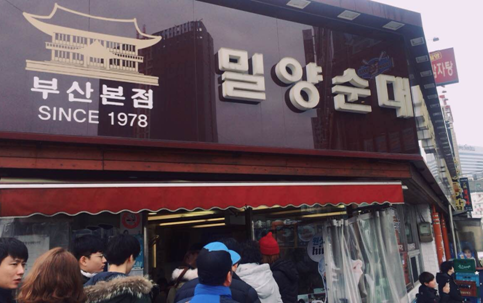 The best popular in Busan is sundae soup. The restaurant was opened since 1978. It’s so long time ago to open it. Can you see the people in line for waiting the food? I was so excited to eat sundae soup in Busan. Even it early afternoon, the people waited for 20 minutes to have the soup. I took the picture before I have it. It looks delicious with sundae and bones. The food was put Korean spicy sauce, red pepper (고추장). It was not spicy at all. It was so fresh and good. Some people put more red pepper sauce, but we didn’t. It takes so good with Kimchi (김치) and other Korean side dishes. Next, we went famous cafeteria in Busan. Tada! Isn’t it pretty and cute? 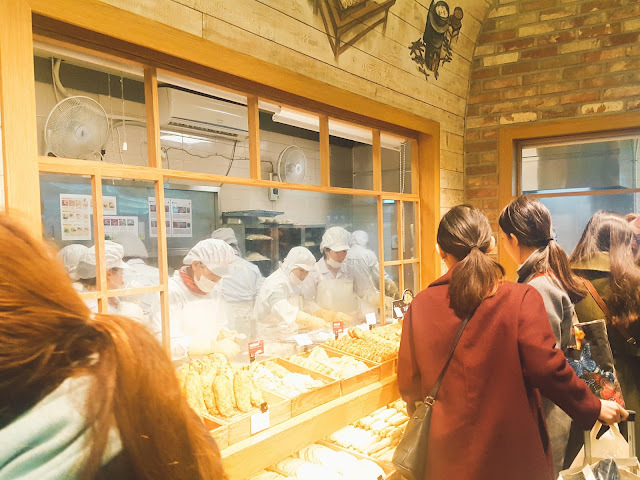 Here is chocolate factory in Busan. That’s chocolate Apple pops in everywhere. 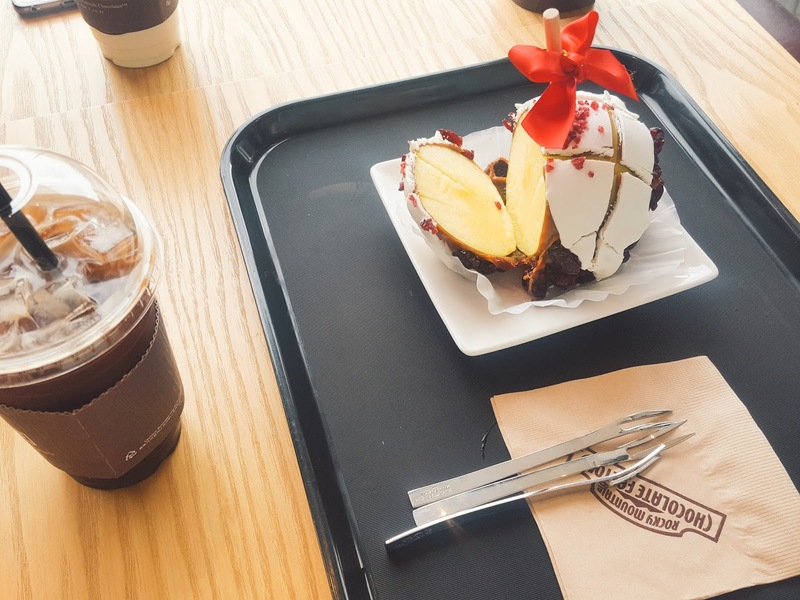 They put the apples with covering chocolate or caramel cream on it. They even decorated apple pops with animal looks & ribbons. I want to try everything in the cafeteria, but the price seems expensive to us. So we just got 1 apple pop with coffee. We chose White chocolate Apple pop with ice-Americano. The staff cut it off for us and we just grap the apple pop with coffee. It was so sweet and cute with ribbons. 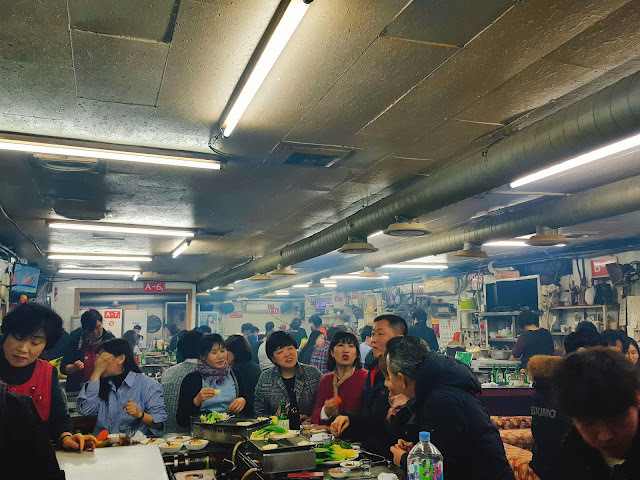 This cafeteria was in Hongdae, Seoul too. 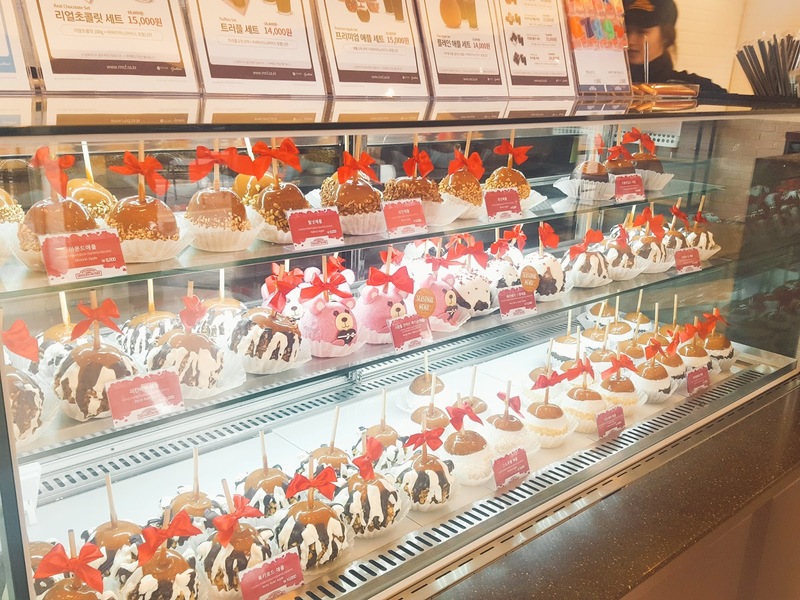 If you want to try Apple pops, you can get them in Seoul, not Busan. Then my friends and I were talking next food for nightJ. At night, I went 문화양곱창 which is located at Goapchnag Alley in Busan. 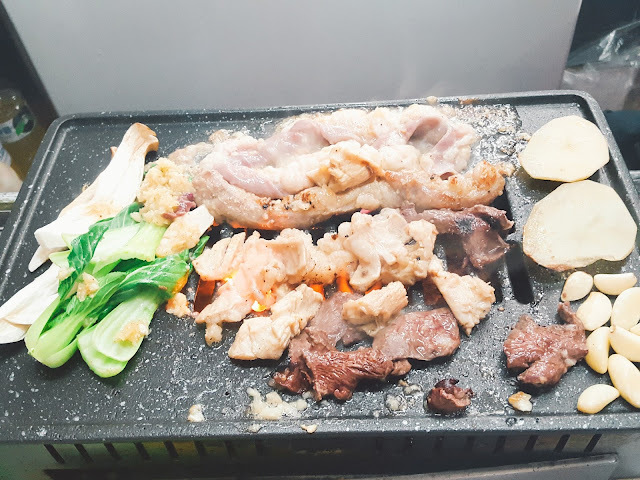 Goapchang is grilled beef or port trip with spicy food. The texture of food is so interesting to me. One of my friends recommends me to eat trips from beef before. First time, I feel like weird, but I LOVE beef and pork trip right now. 문화양곱창 is also popular, so we waited for few minutes.